REN’s philosophy of Clean Skincare can be summed up in three words: performance, purity, pleasure. Performance: REN gives you groundbreaking product formulations, the latest hi-tech actives, rigorous product testing and clinically proven results. Purity: REN uses only 100% plant and mineral derived actives and is free from skin-unfriendly synthetic ingredients. Pleasure: We believe that the texture, fragrance and experience of using REN can make the world a slightly nicer place to be and make us feel slightly nicer being here. Happy Earth Week! $22 off orders of $100 or more with code EARTH22. 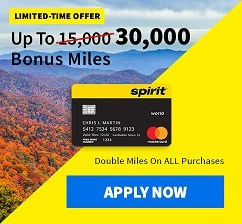 Valid through 4/26 at 11:59 PM PST. Enjoy free USA Standard Shipping on any orders with Clean Screen SPF 30. Use code FREESHIPSPF. Offer valid through 4/30 at 11:59 PM PST.